FRANKFURT, GERMANY and WAYNE, PA--(Marketwired - Jul 28, 2015) - Elemica, the leading Supply Chain Operating Network provider for the process industries, adds Dr. Stefan Artlich, Director Product Tracking and Authentication at Bayer Technology Services, to the agenda for their EU Supply Chain Conference, IGNITE 2015. Dr. Artlich's presentation, "End-to-end Traceability in the Process Industries: The Pharma Experience" will focus on how to develop and execute implementation roadmaps for pharmaceutical track-and-trace. With new regulations for drug makers, wholesalers and logistics companies in effect, companies must provide thorough documentation all along the supply chain. Dr. Artlich's presentation will discuss how companies can meet these regulations through better data capture and supply chain visibility gained from a business network. "The ability to quickly and correctly respond to real-time market events is dependent upon data-driven decisions up and down a company's supply chain," said Ed Rusch, Vice President of Corporate Marketing at Elemica. "The currency of data is gained through a business network and spent by companies to win their market. I'm eager to hear Dr. Artlich's insights into data capture, supply chain visibility, and traceability from a Pharma perspective at our upcoming event." Evolving regulations are establishing timelines with the objective of a fully electronic drug tracking system. This will, for example, provide the ability to more easily locate recalled products or protect against counterfeits. Process manufacturers in the pharma chain must consequently create more robust visibility across their supply chains -- and more collaborative capabilities with their trading partners -- in order to meet the changing regulatory and reporting requirements. Additional benefits of end-to-end supply chain visibility include the superior business process orchestrations and operational efficiencies needed to capture real competitive advantages and deliver more profitable business outcomes. 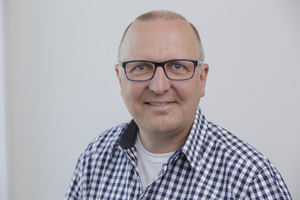 Dr. Stefan Artlich joined Bayer in 1996 and currently holds a position as a Director Product Tracking and Authentication within Bayer Technology Services. He has been involved in pharmaceutical serialization since its early days, worked in the European Federation of Pharmaceutical Industries and Associations (EFPIA), and played a key role in the development and implementation of the European Stakeholder Model (ESM) for harmonized medicines verification. Dr. Artlich holds a diploma in mathematics from University of Bonn and a Ph.D. in chemical engineering from the Hamburg University of Technology. Elemica's IGNITE Supply Chain Conferences gather executives, industry analysts and supply chain thought leaders who desire to share innovative ideas in order to ignite their supply chains into the next level of performance. Client case studies and actionable insights that streamline the flow of talent, resources and capitol throughout a robust supply chain ecosystem will be presented. IGNITE 2015 Europe takes place on the 15th of September in Düsseldorf, Germany. The event also includes a pre-conference dinner and cocktail reception the evening prior. For more information and to register, please visit www.elemicaignite.com.